Thank you for your support to House of Ruth! 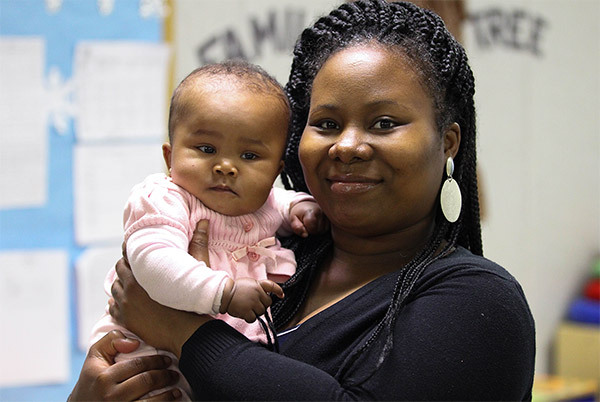 Since 1976, House of Ruth has helped women, children and families who have experienced homelessness and abuse by providing safe housing and nurturing, supportive care to help them back on their feet and toward leading stable, independent lives. But we couldn’t have done this work without your help! Although there are a variety of ways to support our work, financial donations are the best way to help the women and children at House of Ruth. There are many ways to give to House of Ruth. Most donors simply send a check to House of Ruth, 5 Thomas Circle, NW, Washington, DC 20005, or give via our secure server using a credit card. Many employers will match all or part of the donations of their employees and many also offer payroll deduction giving. Donors of $500 or more annually are recognized through the Director’s Circle ($500 – $999), President’s Circle ($1,000 – $4,999) and Leadership Circle ($5,000 or more). Members of these giving Circles have an open invitation to come visit the programs at House of Ruth. The Legacy Society honors donors who have made a provision for House of Ruth in their estate plans. Thank you for making House of Ruth’s work possible!